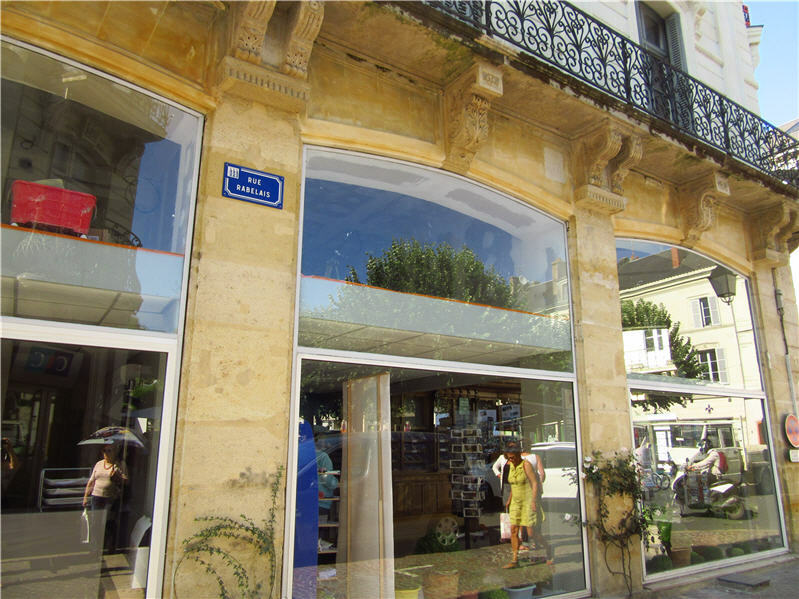 On a trip into Chinon earlier this week, for Elizabeth's daughter Jane's birthday, we noticed that the tourist office has moved. It is now in the much better position just off the main square in what was the old parapharmacie. 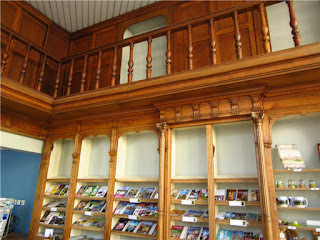 Interestingly they have preserved the old pharmacy shelving to display their brochures. The staff said they liked the new position but it did not have as much counter space to welcome visitors as the old one. We feel it is much more accessible and therefore will get more custom. PS. Elizabeth's birthday yesterday was a hot one! We caught the thermometer just before it peaked at 39.8C in the afternoon!! 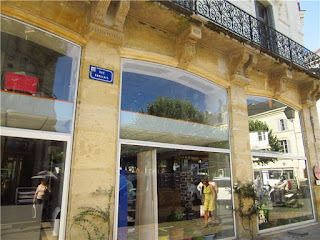 Labels: Chinon, Office de Tourisme. Janes visit. The grandfather of a friend of ours was the pharmacist there. When I visited Chinon in April with my brother I noticed that the old pharmacy was empty, but that the beautiful old shelving was still in place. I was hoping that it was going to be preserved and reused and not being sold off and shipped to America or something! We will call in when he comes again in August with his daughter. 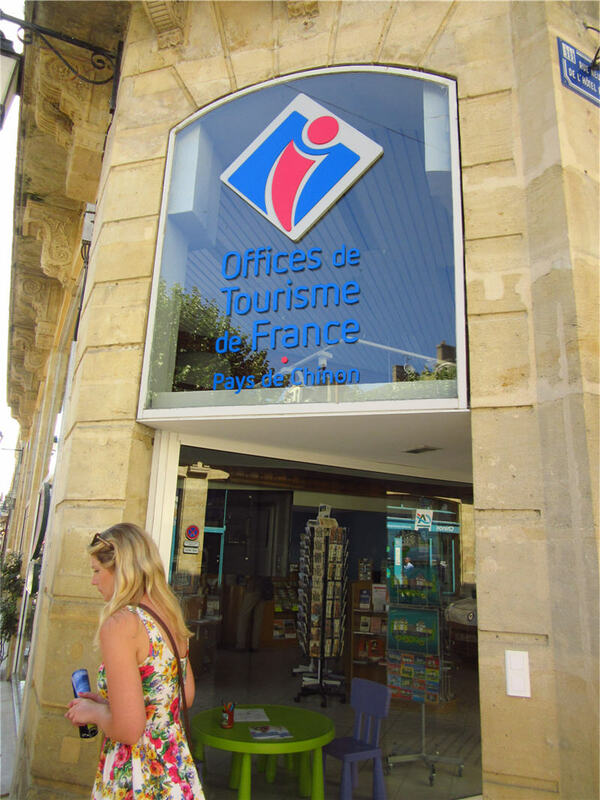 The old tourist office was a bit off the beaten track but they were very helpful to us in the past in finding hotel rooms or gites. 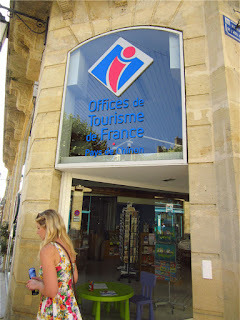 The tourist office network in France provides an excellent service I think. 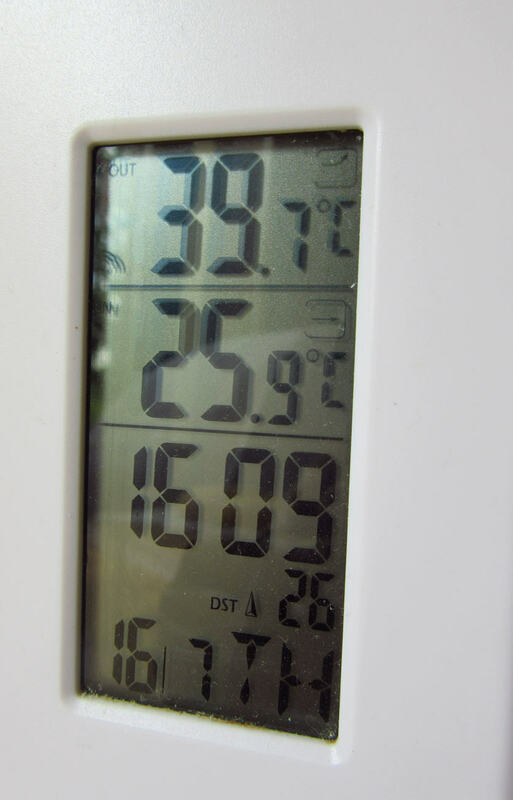 By the way, we got 39°C in Tours yesterday afternoon. I was a bit disappointed not to see the 40° but the proprietor of the PreHisto bar in the village said it was 44° in the square in the afternoon. There's hot and there's f hot. I think this counts as the f! Happy Birthday from one Cancerian to another. Lucky weather days!!!! Les Artistes au village - start panicking!! A view of the village.